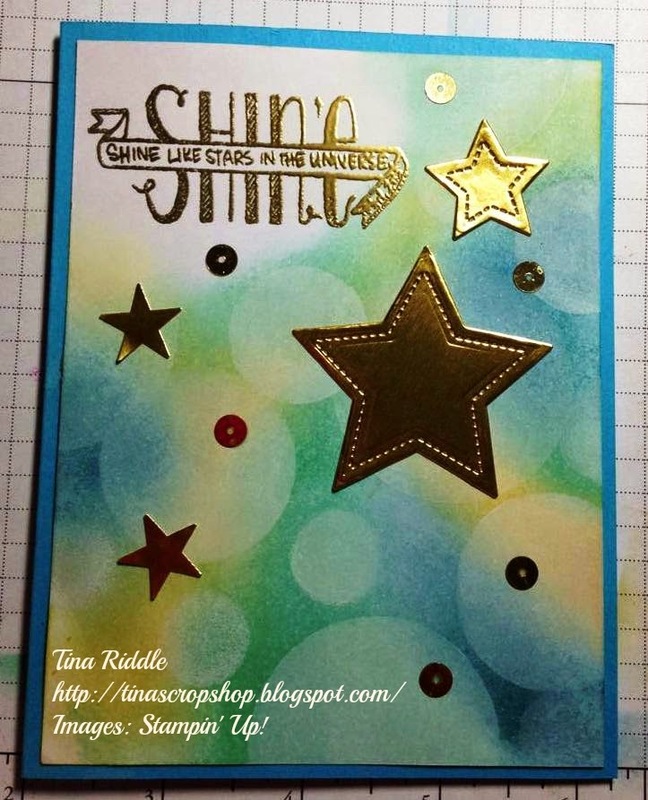 Tina, I've done this type of card so I know it takes patience and time too do them! I love your colors and the gold is fabulous! LOVES IT!!! Love this! I need to make another bokeh card. They're fun and look great! Just so you know Tina..This is amazing!!! I really need to try this technique out!! I have never seen it til now and I would have thought you created it by the looks of that gorgeous card!! Thank you so much for sharing.